Volunteers renovate home of an HPD officer injured in a car accident. 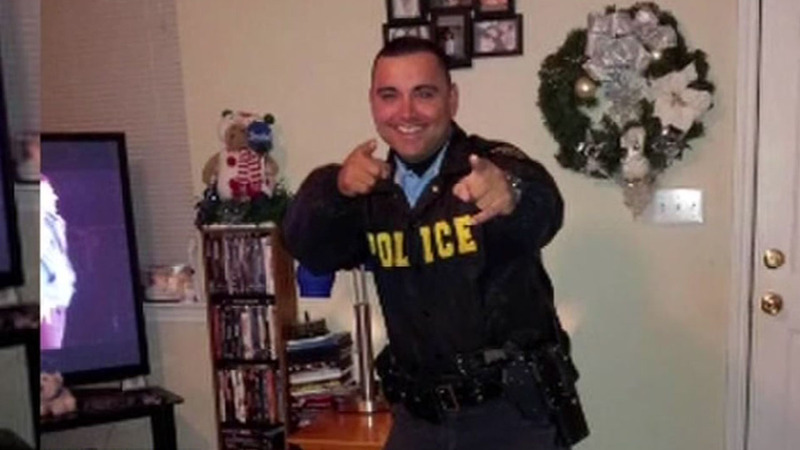 HOUSTON (KTRK) -- Ramiro Garcia loved being a police officer.He was proud to serve his community, but his service ended in an off-duty accident left him paralyzed and unable to speak three years ago. Now it's the community serving him. "They didn't ask for the help," said Texas Home Improvement radio host, Jim Dutton. "We literally just knocked on the door and said, 'hey, we'd like to take care of this for you.'" Nearly three years ago, a Houston Police officer was critically injured in Victoria driving home from a family wedding. The Texas Home Improvement radio show host and the Houston Police Officers Union learned about Garcia and his mother Dora, who quit her job to care for him full time. However, her home wasn't conducive to a wheelchair. And so volunteers spent the last two weeks doing a hundred and twenty thousand dollars worth of repairs and upgrades. Those renovations include:all new siding, a new roof, new windows, all new floors, air conditioning and a new master bathroom. "The big thing is the master bathroom to be to expand that to accommodate a wheelchair bed because he's quadriplegic, where he can be wheeled in and take a shower because he didn't have that ability before," said Dutton. His mother is overwhelmed and thankful. "It's very open.I can roll his wheelchair through any place in the house." said Dora Garcia. It means maybe even more to those who volunteered. "We're brothers, so it's like if your brother got hurt. I never even met Ramiro," said HPD officer, Sgt. Luis Menendez. A present for a man who was a gift to his community. "Regardless of what we hear out in the public, the public itself is still there for the police officers," said Dutton.